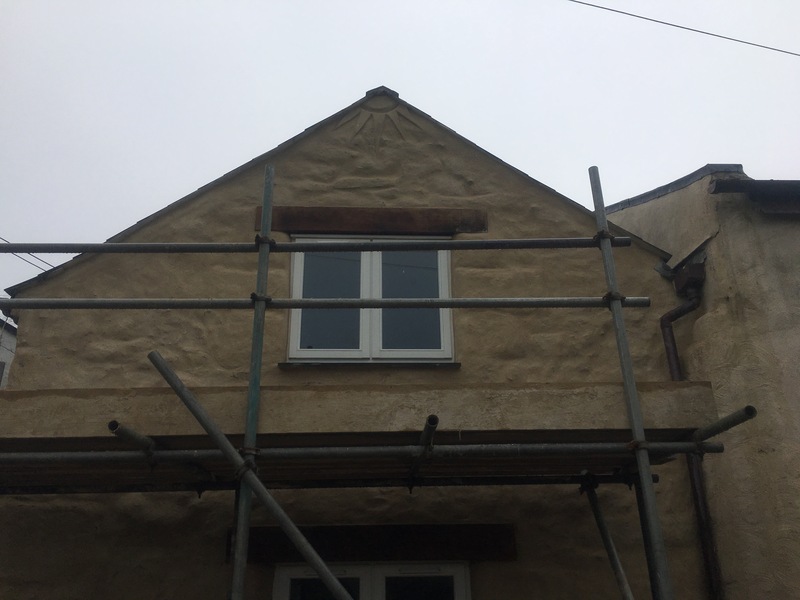 We were asked to bag rub render this gabel end. 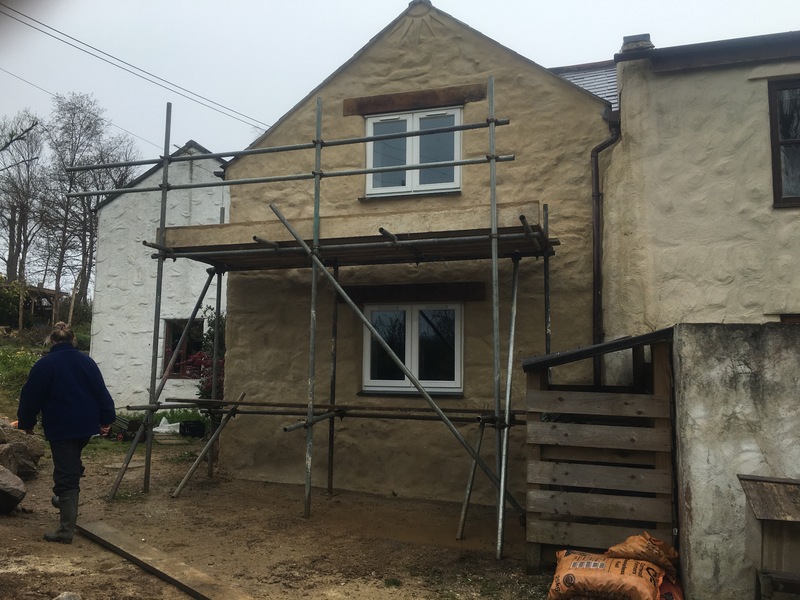 The Scafold was left from the previous builder fitting the windows so we started the job ASAP . 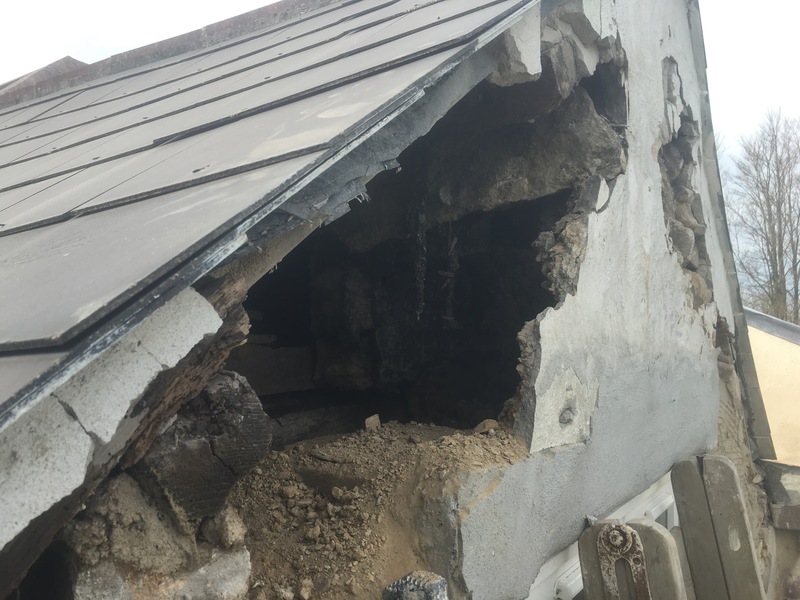 When we started the hack out it became evident that there was a problem with the wall above the top window. 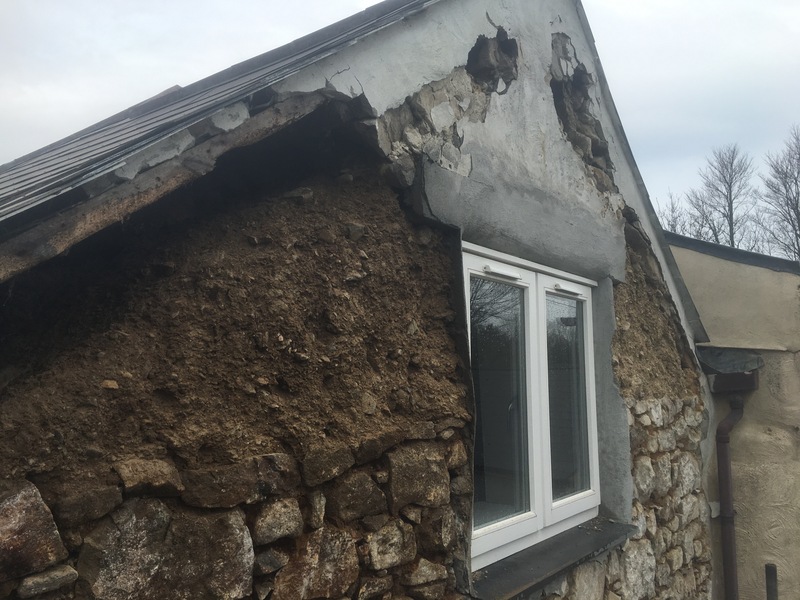 Previous builders had destroyed the cob and stonework. 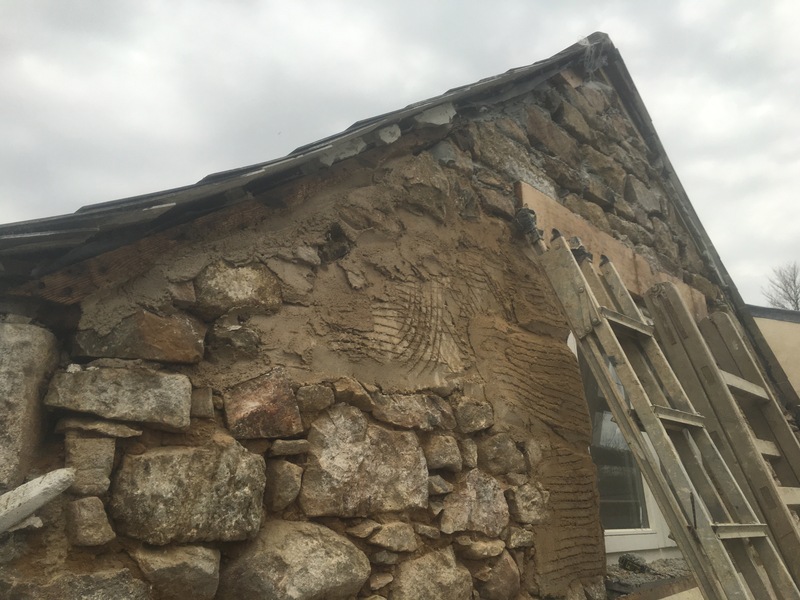 Leaving a void with sections of unsupported stone and undermined cob. 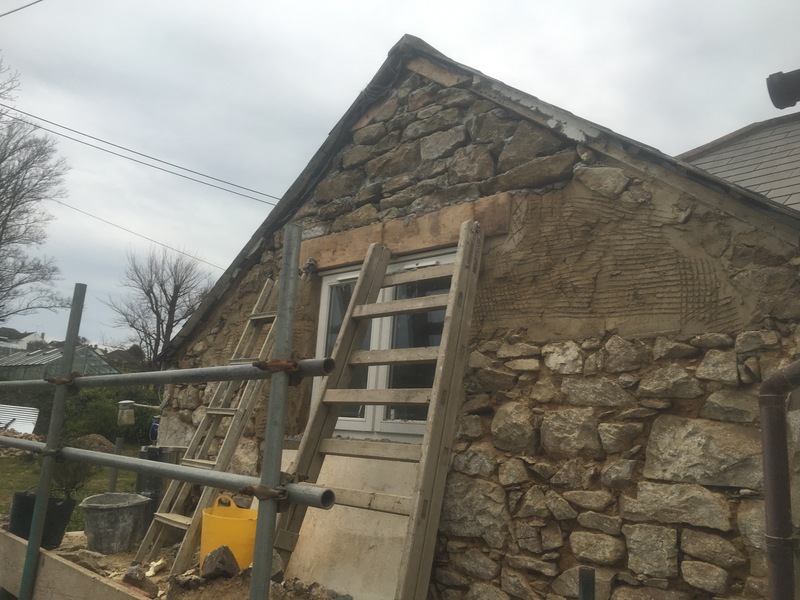 There was also sections under the eves of loose stonework. I was finishing up on another job when the chaps hacking out sent me the photos. Luckily I could leave the pointing in the capable hands with my co worker Scotty. 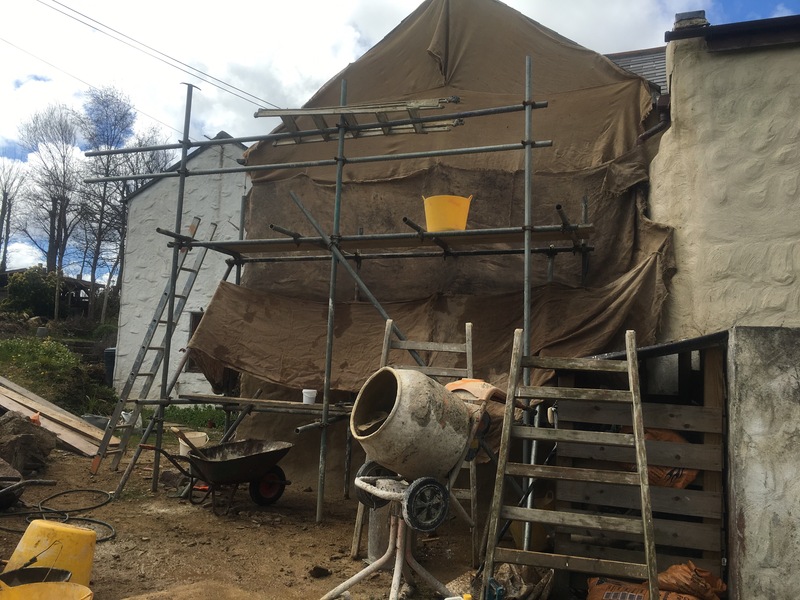 I came straight to this project assessed the situation and ordered the materials. A very hard 12 hours work later and the Gabel was rebuilt. 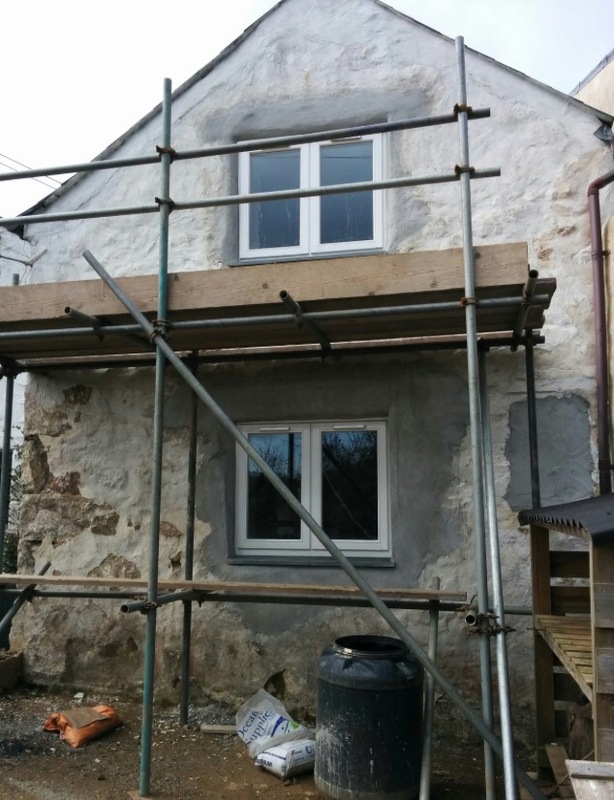 I built in green oak lintels as the previous builder had set the cement lintels too far back. They are both structurally sound and aesthetically appealing. We will be rendering next week. 5 days later and the hessian is removed. We are having nice damp cool weather so the lime will continue to cure beautifully. Notice the sun detail at the apex. 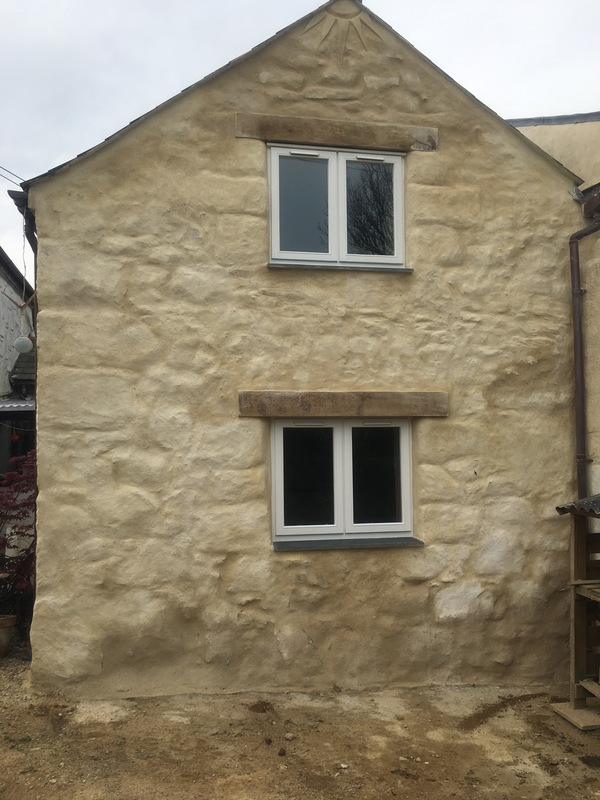 Also the made up quoins around the Windows. It gives it a much better look. Hiding broken stone and block and cob. Previous postRosevidney Manor. Pointing job. 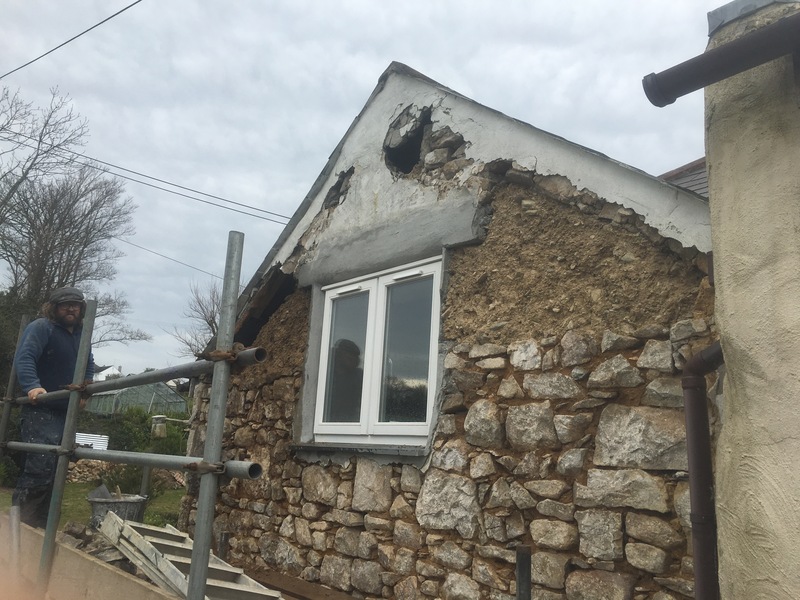 Next postOne then two cottages repointed near Cott Vally in St Just.